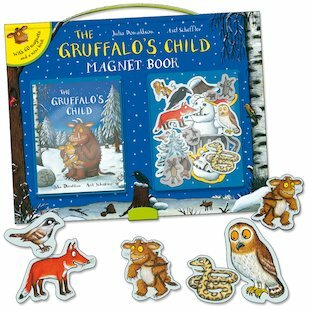 Join the intrepid Gruffalo’s Child as she tiptoes out of her den one snowy night – searching for the Big Bad Mouse in the Deep Dark Wood! 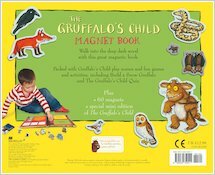 This amazing magnetic version of the bestselling book contains over 60 magnets, a special mini edition of the story, play scenes and exciting activities. Read the book, make your own magnetic scenes, build a Snow Gruffalo and take the Gruffalo’s Child quiz! 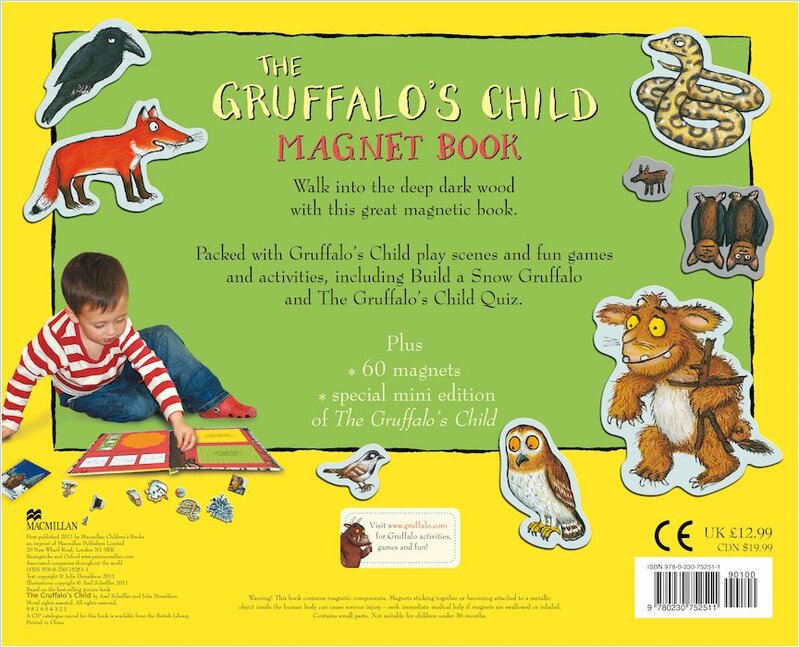 With a neat clasp and sturdy handle, you can take the fun wherever you go!